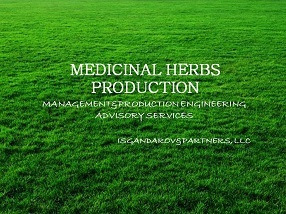 Isgandarov and Partners LLC has consulted the project on restructuring the existing medium size business on processing of medicinal herbs. The assignment included, the production engineering phase starting from relocation of the production facilities to new production area with interior construction works performed based on technological requirements to designing and setting in place the storage, laboratory inspection, milling, sieving and packaging areas. As a part of the planning exercise the sales, production and procurement plans were developed based on historical sales records as well as per existing market requirements. The products have been rebranded to form the new marketing campaign delivered by the business. The thorough market research of international supply markets was conducted to compile the list of suppliers-producers of raw medicinal herbs. A separate exercise on developing the procedures and acquisition of laboratory equipment and accessories required for inwards laboratory inspection was performed, thus allowing producer to accomplish the main inwards laboratory tests in-house. The procedure on laboratory testing was developed to support the laboratory personnel.